Tails in the City loves Bella Bean! The inspiration for Bella Bean Couture is the owner's boxer, Bella Bean. Bella Bean Couture offers a cool and whimsical line of dog collars and leashes manufactured in the San Francisco Bay Area. 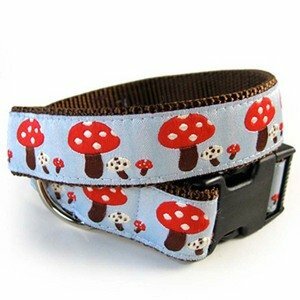 Best selling Bella Bean collar designs include cupcakes, squirrels, mod dots, hip stripes, and more! Bella Bean Couture dog collars, leashes, and harnesses are geared to those who like to get down and dirty and play, but still want to maintain their sense of fashion at the dog park!